Rate your home’s energy efficiency. 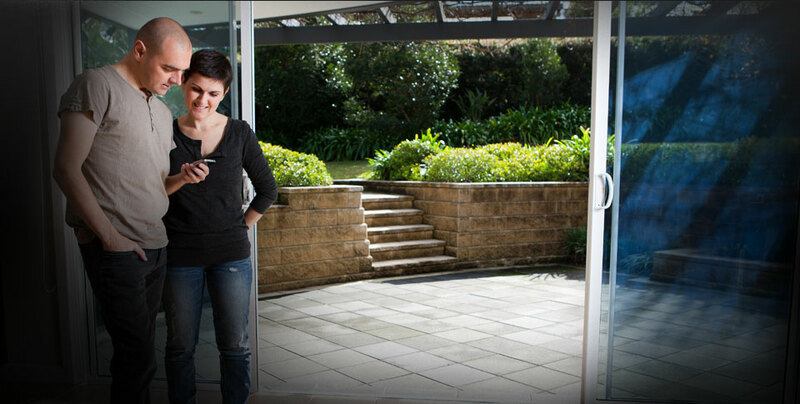 Find out how energy efficient your home is, and how you can make your house more eco friendly. 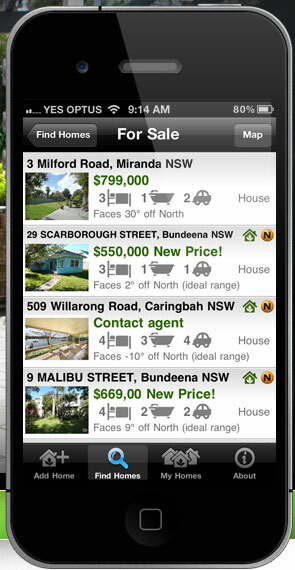 Buying, Selling, Renting or Living. Rate your new home or the one you live in and find out how to improve its energy efficiency. You'll Never Look At Property The Same Way Again. Look beyond the price and number of bedrooms. It's like having an architect in your pocket. 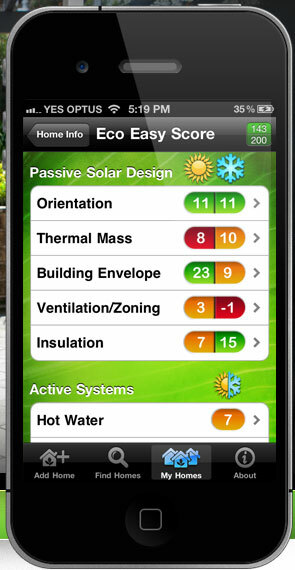 The app helps point out the good and bad eco points of a home. 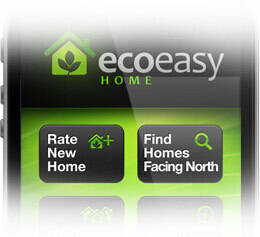 Eco Easy® Home is a simple guide to rate your home’s energy and eco efficiency. This powerful simple tool can help you when choosing a new home or improve the one you live in. Buying. Find the most eco efficient house. Renovating. Helpful steps to eco efficiency. Selling. Eco items to point out to buyers. Real estate agents. Help your vendors. Building. 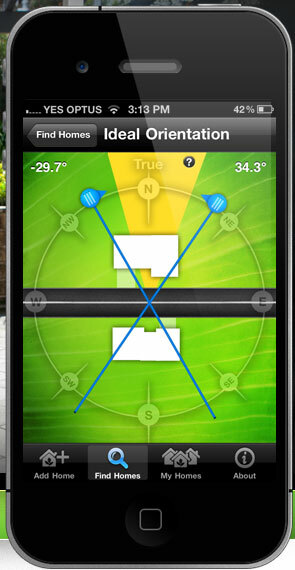 Find land with good orientation. Renting. There are things you can do. Living. Plan to spend less on energy bills. Architects. Aid your design process. Just curious? Find your eco weak points. 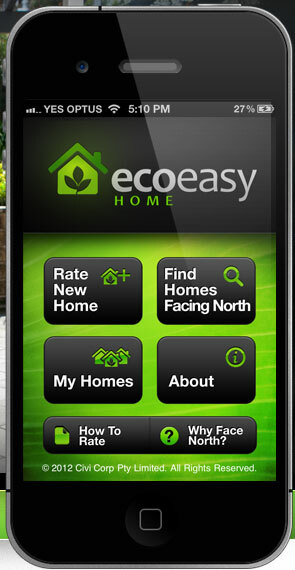 The Eco Easy Home app uses a scoring system to rate your home in terms of its ecological, thermal and sustainable design. 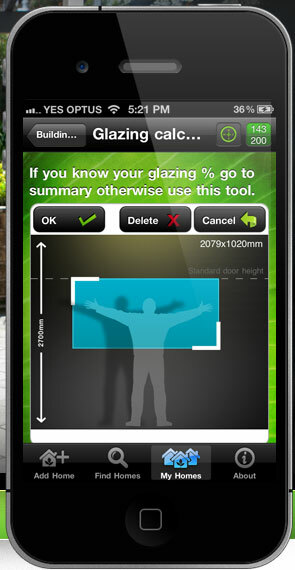 The rating tool is divided into 3 major parts with a total score out of 200. A home with a score of 120 is doing pretty well. 5 Passive Solar Design principles are illustrated, showing how natural energies (heat from the sun, cool breezes, shading, glazing, etc.) can help to create a comfortable home. Appliances and devices that create similar effects to the passive principles, such as cooling with an air conditioner, warming with a heater, or adding a solar hot water unit. Typically a home will require more active systems to make up for any shortfall of Passive Solar Design aspects of the home. Every house has the potential to save in other areas, like reducing water usage and minimising waste from the house, all of which create a healthier home. Statistics show that improving the energy performance of a house by 1 star, can increase its value by 3 percent or more. With electricity prices soaring, energy efficiency is becoming a bigger priority for buyers and sellers. Statistics show that improving the energy performance of a house can increase its market value. Whether you are looking for an eco friendly house, selling your home, or improving the one you live in, Eco Easy Home can guide you by finding the thermal strengths and weaknesses of your house, and identifying alternatives to improve them.